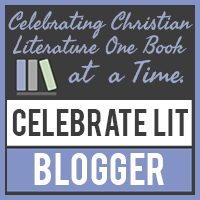 The Avid Reader: Murder Once Removed by S. C. Perkins: Review and a Giveaway! Murder Once Removed by S. C. Perkins: Review and a Giveaway! 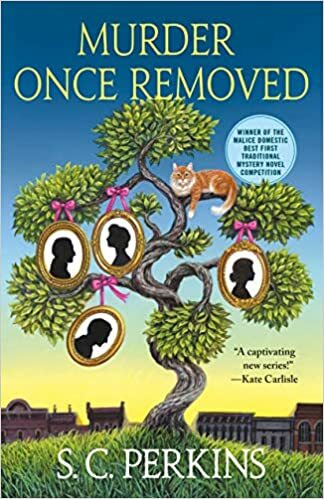 Murder Once Removed by S.C. Perkins is the first An Ancestry Detective novel. 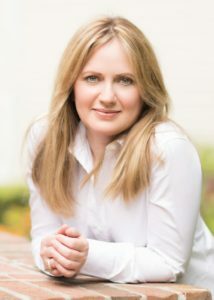 Lucy Lancaster, of Ancestry Investigations, is a genealogist who loves delving into the past researching her client’s ancestors. She has been hired by Gus Halloran to research his family’s history. Lucy was also able to prove that his ancestor, Seth Halloran was murdered in 1849, and it was orchestrated by a man with the initials C.A. She was able to dig up a daguerreotype and a journal from the photographer who witnessed the crime. Unfortunately, Gus announces to this tidbit to the press with a very tipsy Lucy standing next to him that Texas Senator Caleb Applewhite was responsible. Caleb’s descendant, Senator Daniel Applewhite happens to be running for re-election against Gus’ son, Pearce. Lucy wants to positively identify the guilty party. She decides to consult with her friend, Dr. Winnie Dell. Lucy arrives at Winnie’s office to find her friend dead and the daguerreotype is gone. Someone is not happy that Lucy has delved into the past. Then Lucy’s office is broken into and Senator Daniel Applewhite is attacked. What is the killer trying to obtain? Some action in the past is affecting those in the present. Can Lucy uncover the truth before the killer strikes again? Murder Once Removed is unique for cozy mysteries. Our main character, Lucy Lancaster is a genealogist who runs a company called Ancestry Investigations. She can uncover your ancestors, provide a family tree, obtain photographs, and so much more (I had no idea). Lucy can provide a beautifully bound book and a website for her clients is they desire. She uses land records, census records, journals, photographs and numerous other resources (there is a veritable font of information available if you know where to look). I would have liked more information on Lucy and for her to come across as a more mature main character (not the best idea to get blotto in front of a client). Though I do find it appealing that she is a Downton Abbey fan. There are two intertwined mysteries in Murder Once Removed. The death of Seth Halloran from 1849 and the current murder of Winnie Dell. I like how the two mysteries relate to each other and that they were wrapped up at the end of the book. There is action as Lucy evades the killer. She asks questions and does research to solve the two crimes. I do wish that the modern mystery had been laid out differently. It is the type that plays out with little opportunity for the reader to solve (which is my favorite part). There is interesting genealogical information and history included in the story (though I am still baffled by the once removed—there is a handy chart included). Special Agent Ben Turner was an interesting, handsome and charming character. His history background gives him plenty in common with Lucy who finds him attractive. There were sparks flying between the pair. I liked the humorous dialogue between them at the end (made me laugh). Murder Once Removed is an enticing new cozy mystery that will appeal to the history and genealogy enthusiasts. Murder Once Removed will be out on March 19 and available at IndieBound, Amazon, Barnes & Noble, and Books-a-Million. In honor of the tour, there is a giveaway for print copy of Murder Once Removed plus some swag. You can enter here or use the Rafflecopter form below. Good Luck! Please take the time to visit the other stops on the tour for reviews, guest posts, character interviews, individual giveaways, and character guest posts (schedule below). Thank you for visiting today. Take care and Happy Reading! I adore the cover and looking forward to reading this. Sounds great! Sounds like a great book and one that I would enjoy having the opportunity to read. Most Anticipated Spring Reads. . .